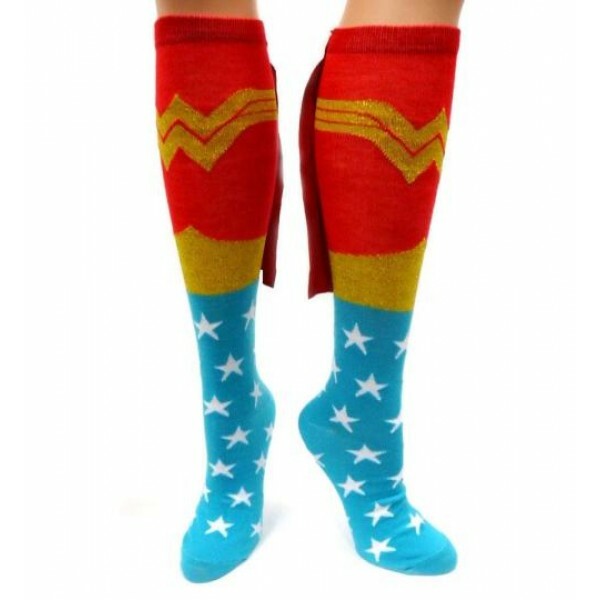 Knee socks can be fun for teens and adults, too -- especially when they feature powerful superheroes and have their very own capes! 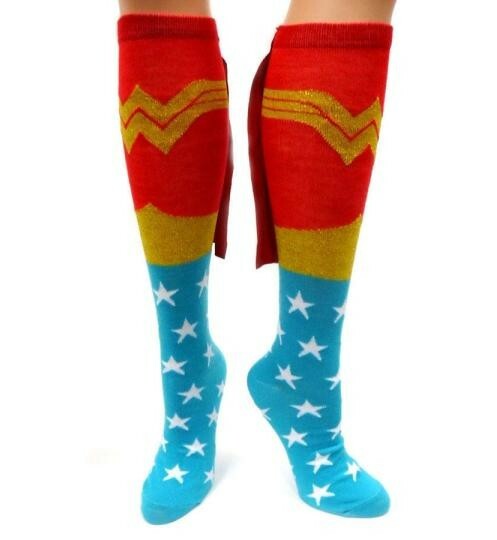 These Wonder Woman caped knee socks are a fun way for your fan to show off her favorite comic book character. One size, fits ages 13 and up. For superhero-themed clothing for all ages, visit our Superhero Clothing section.